The holiday season presents a great opportunity for private investigators to connect with their clients on a different level than other times of the year. The holidays are generally a period where goodwill and expressions of thanks are abundant, and any gestures you make are likely to be received in good spirits. To help you market your private investigation firm this holiday season and set the stage for increased business in 2012, PInow put together this list of easy and inexpensive (or free) holiday marketing ideas. Gift cards are great because they make things easy for the gift giver and the recipient. You can distribute gift cards as holiday presents for current clients or as incentives for potential clients, and it allows them to either treat themselves or to use the cards as gifts for loved ones. This is a perfect time to remind your clients that you are thinking of them and appreciate their business. You can send out holiday e-mails, postcards, e-cards or other messages, but just remember that you might not want to mention specific holidays if you don’t know which ones your clients celebrate. Facebook, Twitter and LinkedIn are all highly useful social media platforms for holiday greetings. Using any of these sites, you can send out quick but friendly messages to your professional network. If you haven’t started a private investigator blog yet, now is a good time to start. You can create holiday-themed blog posts and let everyone know what your investigation firm is up to during the season. Feel free to include photos of you and your team at the annual ugly sweater party. Volunteering for a food drive, homeless shelter, or other organization helps your community and gets your firm’s name out there. Volunteering is also great material for a blog post. You can run a holiday-season promotion where you let clients know that a certain portion of their fees will go toward a charity. This gesture gives clients a heartwarming feeling and helps the charity of your choice in the process. You can also run a community food or toy drive, which is a great way to give back to the community. 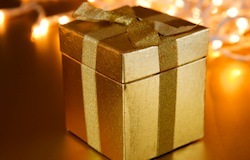 Our final holiday marketing tip involves you giving a gift to your investigation firm: a new website. A cornerstone of your marketing campaign throughout the year should be a strong website that attracts new clients. Visit our selection of private investigator websites to find the one that will have people flocking to use your services.